The 2019 Lorain Lighthouse Sunset Wine Dinners will start on Tuesday, June 18, 2019 and run every Tuesday thru Tuesday, September 10, 2019 (weather permitting). This is a fantastic way to celebrate a special occasion and catch one of Ohio’s most beautiful sunsets. 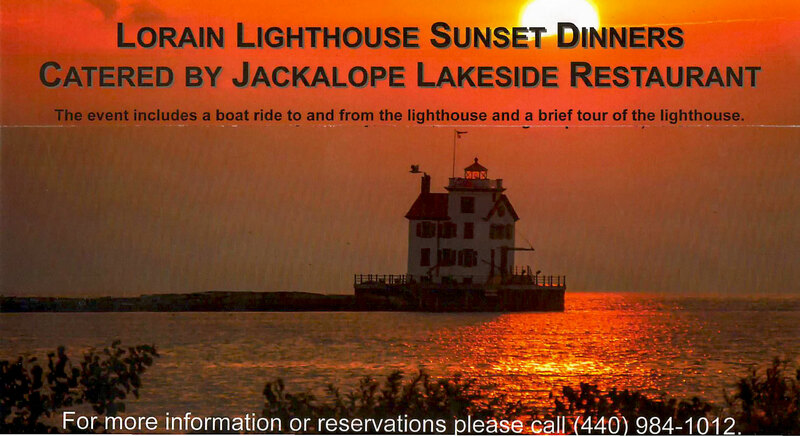 The evening includes a boat ride (departing by boat from Dock “A” (Transit Dock) north of the Jackalope Restaurant) to and from the lighthouse and a brief guided tour of the lighthouse. The dinner, including a wine paired with each course, is catered by the Jackalope Lakeside Restaurant. The cost per person is $130 (includes tip) and the reservation can be made by calling 440-984-1012 (starting March of 2019). There is a limited number of 18 reservations available for each dinner, so please call early. 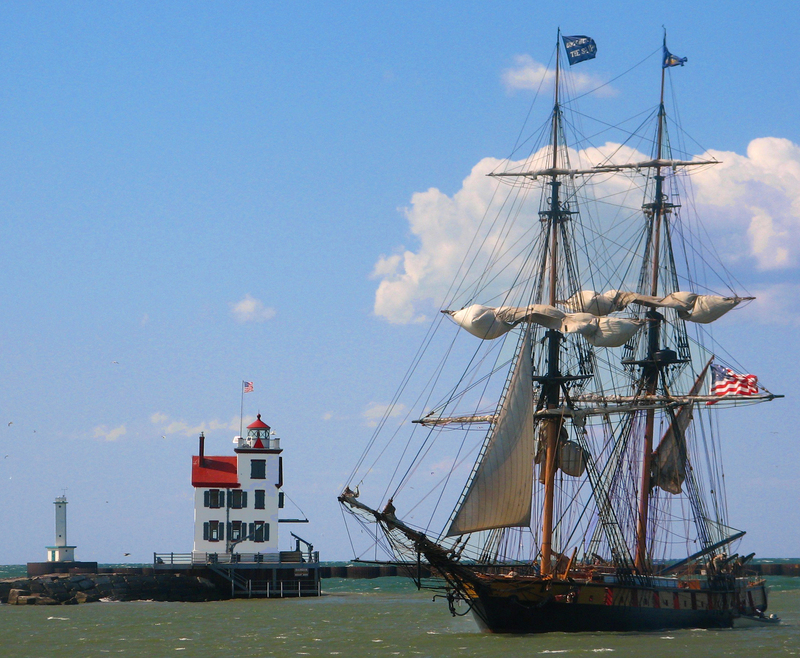 Tours of the Lorain Lighthouse are available during the summer months departing by boat from Dock “A” (Transit Dock) north of the Jackalope Restaurant. Tour boats depart every 45 minutes. Tickets for the boat ride and tour are $20.00 per person. They are available online. You may also make reservations by calling 440-326-1968. Reservations have priority over walk-ins. Proceeds go to the Lighthouse restoration and maintenance. Financial support is always needed and all donations are welcome – visit DONATE TO THE LIGHTHOUSE to make a donation. Thank you and we will see you out at the Lighthouse! Merchandise will be available for sale at both Dock A (departure site) and the Lorain Lighthouse.